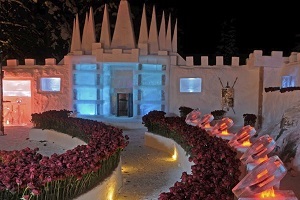 Lift off from Whistler in an A-star helicopter and fly over Canada’s largest, southernmost ice cap to explore an evolving world of ice and snow in a glorious ice cave enroute to a natural hot spring to enjoy Whistler’s most exciting Wilderness Spa-like experiences. Rejuvenating, natural, and serene are words that simply don’t do this experience justice. 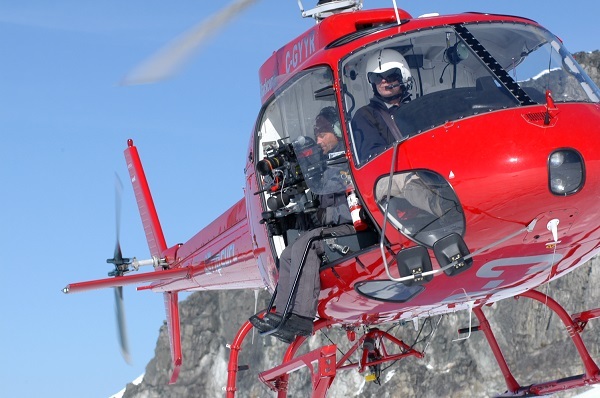 Travel by A-Star helicopter from Whistler or Vancouver and fly through hanging valleys, remote fjords and cascading waterfalls thousands of feet tall. The helicopter will land just a short adventurous hike away from the natural hot springs. Descend into the splendour of a natural thermal pool along the vibrant rivers edge. Remote, natural, and serene are words that simply don’t do this experience justice in this remote mountain setting. Relax in the soothing springs with the view of the emerald green river meandering in front of you. A mountain lunch will be provided before you fly back. Starting From: $10,995. Based on 1 – 4 passengers. Duration: 5.5 – 6 hours Roundtrip. 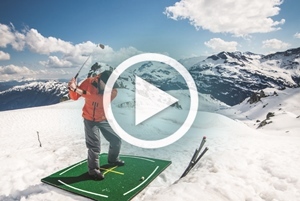 Season: Year round – Weather dependent. Skill Level: All abilities. Some restrictions apply. Starting From: $12,995. Based on 1 – 4 passengers. Please Note: Despite the remote location of these facilities, exclusive access to this area can not be guaranteed. While the majority of our trips are private, on occasion members of the public sometimes frequent the area. Helicopter flight to the Hot Springs. Chef de Cuisine prepared lunch. Hot springs robe, slippers and towel. Extended flight seeing with ocean landing. Pro Photo & Aerial Drone Cinematographer. Professionally Edited Video of Your Experience. 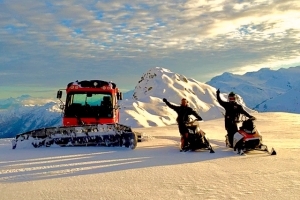 Explore, unwind and relax in one of Whistler’s most exciting wilderness experiences. 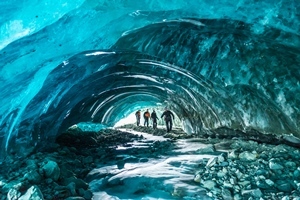 This unique adventure will take you deep into the blue wonder of the ice caves on Head-Line’s Ice Cap and will continue with a flightseeing journey to enjoy the splendor of an all-natural thermal pool along a vibrant river’s edge. 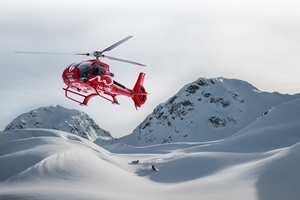 Travel by A-Star helicopter from Whistler or Vancouver to the largest, southern most temperate latitude Ice Cap in the world. Follow our Wilderness Experience Specialist to explore enchanting natural ice sculptures, ice flows, and halls of aqua blue magnificence. After you’ve emerged from the depths of the Ice Cave, board your helicopter where you’ll fly through hanging valleys, remote fjords, and nearby cascading waterfalls thousands of feet tall. 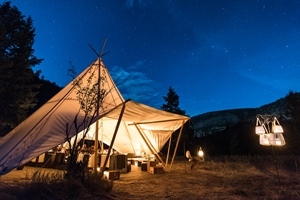 A Chef Prepared BBQ lunch will be served in a remote alpine setting of the Coast Mountain Ranges. Following lunch, your helicopter will land just a short adventurous hike away from the natural hot springs. Relax in the soothing springs with the view of the emerald green river meandering in front of you. Remote, natural, and serene are words that simply don’t do this experience justice. Starting From: $17,995. Based on 1 – 4 passengers. Duration: 7 – 8 Hours round trip. Please Note: Despite the remote location of these facilities, exclusive access to this area can not be guaranteed. While the majority of our trips are private, on occasion members of the public sometimes frequent these locations. 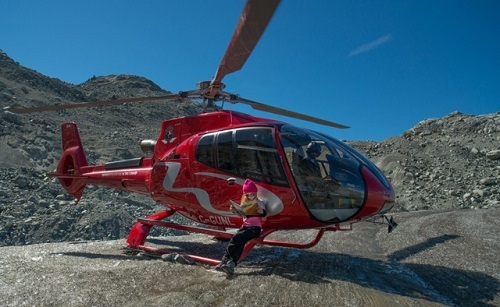 Helicopter flights to the Ice Cap and hot springs. A maximum of three hours of flight time is included. Ice cave interpretation and exploration with guide. In the winter, please dress for “skiing”.